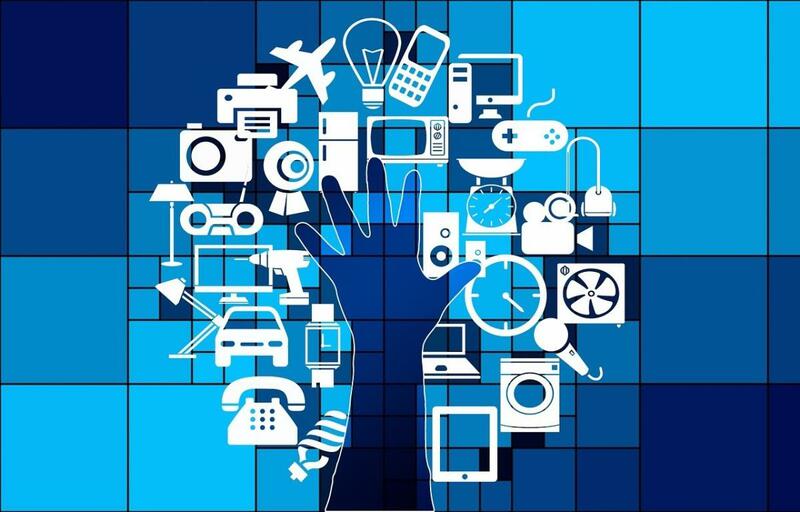 IoT has the power to transform industries – creating new value propositions, business models and markets. But, not every project will be a game-changer, at least not initially. The important thing is to evaluate your results, measure your success and identify where you can continue to improve. Welcome to the second installment in my series on how organizations can get started on the road to success with their Internet of Things (IoT) projects. In the first part of my series based on “Building the Internet of Things – a Project Workbook,” I explained how to identify your IoT vision and path to value. The next steps include planning, deployment and measuring your success. Let’s get started. How does your Information Technology (IT) compare to your peers? Consider not only technology, but also your business processes and automation criteria. How does your Operational Technology (OT) compare to your peers? Consider line-of-business technology, business process and automation criteria. How do your environments and ecosystems compare? What are your workforce’s capabilities, appetite for innovation, customer sophistication and partner commitment? How do your customer relationships compare? Are you viewed as a partner or merely a vendor? Do you co-develop with customers or simply sell to them? How does your IoT experience compare? What is your organization’s level of experience with connected operations, remote operations, preventive maintenance, predictive analytics, etc.? Next, ask yourself what steps your organization will take to address the areas of development and how you can take advantage of your relative strengths, compared to your peers. Use the results from this benchmarking exercise to identify skill and talent gaps within your organization, and to guide how you will select, assemble and train your team. Is your organization moving toward a single consolidated IP network, even if you are not there yet? Where you have IP, have you converted to IPv6? Will you be able to connect and access all data and, at least, major functions of IT and OT groups over this IP network to ensure the data flows to all? Do you have other networks that may dilute resources and attention – and if so, do you have plans to consolidate these networks onto IP or eliminate them? Where do you have islands of data that need to be integrated? Keep in mind that an IoT initiative does not necessarily require you to overhaul your legacy system or even use the latest in technology. You can begin by simply connecting existing systems within your organization, and gradually introduce elements of a modern infrastructure based on flexible frameworks. In addition to being technologically ready, your organization must also be culturally ready, from the C-Suite through your workforce, and even across your partner ecosystem. Consider how open your organization is to change and its appetite for creativity and innovation. Do your executives support this project? How frequently are the IT, OT and other core business functions brought together? Your answers to these and other questions can help you form the basis for communicating with and educating your workforce, partners and customers on the cultural changes IoT will bring. With any IT project, every manager immediately wants to know the expected ROI. You will need to consider not only the costs of new technology and connecting devices and systems, but also the investments in human capital, processes and cultural change. Look for patterns of payback where IoT delivers the greatest value – typically processes in which it can reduce or replace manual labor, or where it generates results that lead to increased revenue, new revenue streams, increased customer retention or new customers. You can also access this interactive IoT ROI calculator to help quantify the payback value you can expect from your IoT project in terms of improvements to labor efficiency, operational efficiency, streamlining business processes and revenue enhancement. Now it is time to prepare your project blueprint. Begin by identifying the things, devices and systems you want to connect, and then connect them to an IP network. You’ll need to consider existing heterogeneous environments too, such as SIP, Modbus and COA. It’s highly likely that your organization has a mix of these around branch, field or operations sites. Integrating assets across these environments is feasible with many proven models and successful blueprints to feed the data into existing ERP systems and other enterprise applications. Most importantly, make sure everything you acquire supports IP (preferably IPv6) and is compatible with your organization’s existing network infrastructure, routers, switches, bridges and servers. Last but certainly not least, you’ll need to address security as you blueprint your project. Strong security must be woven in, end-to-end, throughout your IoT deployment. Identify the potential threats your deployment may encounter and determine the best way to reduce the risk and mitigate the potential damage. I recommend taking an architectural approach to security, breaking down functional silos and engaging with your organization’s CISO to create a unified and policy-based security architecture across the enterprise. Focus on creating a before/during/after approach. That means, implement strategies before an attack to prevent unauthorized access. During an attack, quickly identify the breach and shut it down. After an attack, assess and minimize the damage – and adjust your security practices based on lessons learned. Build in intelligence and predictive analytics to automate and monitor IoT security end-to-end. And, of course, apply well-established best practices such as device and traffic segmentation, and use a multi-tenant network infrastructure to isolate any problems. Data integrity is equally important for a successful IoT deployment. You’ll need to implement processes and checks to ensure the accuracy and validity of the data flowing through every step of your implementation. Remember that data has many beneficiaries and users, beyond those originally intended. Identify the data you expect to capture and apply the appropriate business rules or logic needed to process it in order to generate meaningful results. Finally, remember the mantra, “Garbage in, garbage out.” It is critically important to put in clean, accurate data to get meaningful results out. Approaching a technology solution in isolation. Leading with connected devices instead of data and apps. Prioritizing solutions without a strategic focus on resistance and change management. Designing IoT solutions without a proper security foundation. Now that your IoT initiative is fully researched, blueprinted and validated, it’s time to embark on this rewarding adventure and measure your success along the way. Using the ROI calculator and the baseline metrics you established during the benchmarking process, identify what worked and where you can improve. You can also find detailed assessment guides and exercises to help your organization plan and blueprint its IoT initiative and measure its success here. IoT has the power to transform industries – creating new value propositions, business models and markets. But, not every project will be a game-changer, at least not initially. Many organizations are able to gain great value and obtain a speedy ROI through even incremental advances and efficiencies brought about by IoT. The important thing is to evaluate your results, measure your success and identify where you can continue to improve. Now you have the proven roadmap …go and get started! And let me know how you’re doing.